learning_man_kicking has no other items for sale. 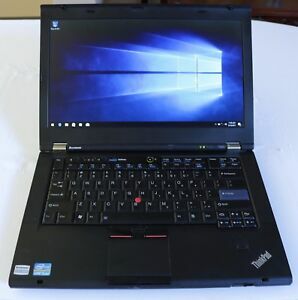 Details about Lenovo ThinkPad T420 i5-2520M 8GB 256GB SSD Windows 10 Pro---NEW BATTERY! Lenovo ThinkPad T420 i5-2520M 8GB 256GB SSD Windows 10 Pro---NEW BATTERY! Processor Type: Intel Core i5 2nd Gen. Screen Size: 14.1in. Exactly as described, super fast shipping. Thanks for being so helpful! Fantastic value. Exactly as described and very quick shipment. Fantastic seller who has gone above and beyond expectations. The best eBayer. no communication at all. very bad experiences. Screen had dead pixels & that was not in the item description. Return went well.